Just when you think you have known about every fruit on the planet, something pops up ready for you to devour and appreciate. I love blueberries and their antioxidant power is well-documented, but I was quite intrigued to hear about a distant yet similar cousin. The bilberry has been used medicinally for centuries as a food. Related to the blueberry and native to Northern Europe, the bilberry is a perennial shrub that grows about 166 inches in height and has sharp-edged, green branches and black, wrinkled berries. The berries are ripe during late summer and although it looks like and tastes quite like the blueberry, it is also related to the cranberry and huckleberry. If you have ever had whortleberries and cream in England, then you had a healthy dose of antioxidant-rich bilberries. Along with huckleberries, bilberries are quite popular with hikers along with forest animals and birds. So, what do hikers and forest animals know that we don’t know? What is the secret ingredient that makes bilberry so boss? Well, it is not a secret at all but rather the key compounds called anthocyanosides, which are flavonoids. Anthocyanosides, according to The University of Maryland Medical Center, help build strong blood vessels and improve circulation to all areas within the body. 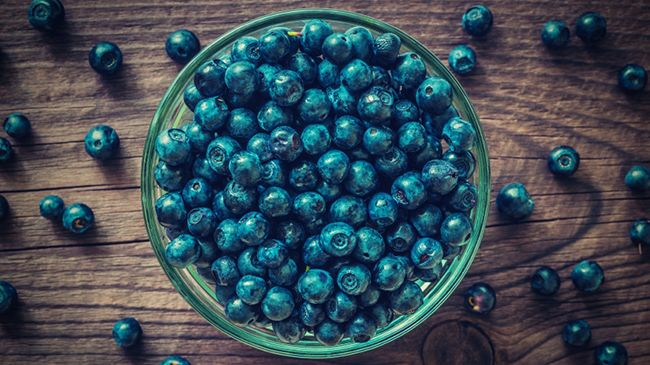 Just like their cousin the blueberry, bilberries have antioxidant properties and they are rich in tannins (acts like an astringent), which also have anti-inflammatory qualities that are perfect for an agitated scalp. We are all trying to age gracefully but some age related breakdowns occur regardless of our fight. There are age related breakdown of the micro capillary circulation around the hair follicles and is an important factor in hair health deterioration. Bilberry extract has been shown to improve the micro capillary circulation and strengthen collagen throughout the body including the hair. This is a great attribute as we age because according to Dartmouth Undergraduate Journal of Science, collagen after 40 is no longer being produced. Collagen and elastin fibers begin to break down but bilberry extract inhibits enzymes that can cause collagen degradation. As you can imagine, this anti-aging property is perfect for the skin as well and why many face moisturizers and lotions utilize bilberry extract for that very reason. Bilberry extract serves as an effective moisturizer and exfoliant. This cooling herb tones the skin and scalp with its natural astringent qualities that can soothe an inflamed or irritated scalp while nourishing the scalp. We also worry about the damage free radicals can cause on our skin, scalp, and hair, but bilberry is an excellent source of antioxidant properties to help prevent or even reverse the damage to cells by those free radicals. Your follicles are nurtured by the blood flowing from your scalp to your hair and this blood flow delivers the necessary nutrients your hair needs for optimal growth and quality. Bilberry supplementation boosts blood circulation to not just every other part of the body but to your scalp, giving your hair follicles the proper nutrients they need for optimal hair growth and strength. Bilberry tea is a popular drink for many wanting to maintain a healthy vision from the anthocyanosides, but it is also a way to benefit from the antioxidants, tannins, and skin nourishment by drinking. If other means of consuming this quality herb we have a few items below you may want to try.